Join Penny Appeal from 05 - 15 December 2019 and enjoy an amazing ten-day trip to Tanzania’s National Park in East Africa. Hurry! Places are filling up fast! Mount Kilimanjaro is the highest mountain in Africa and one of the most majestic sights on the African continent. Standing at 19,341ft, it’s also the highest free-standing mountain on earth and truly is the challenge of a lifetime! Trekkers will test their endurance as they take on this 11 day trip which will give them the chance to experience some of the most dramatic mountainous landscapes on earth. On this awe-inspiring 7 day trek, you will experience it all. It’s a challenge like no other. You’ll make memories that will last forever. Push yourself to the limits and know that long after you’ve completed the challenge, you will be helping deliver life-saving essential aid to those who are suffering around the world. By signing up to this life-changing challenge you will be asked to raise a minimum of £4,500, to support our EMERGENCY RESPONSE campaign to help protect and save thousands of families from the devastating effects of natural disasters and conflict. There’s no upper limit to how much you can raise though, and we expect participants will go above and beyond to raise as much as they can. Places will become limited soon, so sign up now! To book your place you will need to pay a £399 deposit. You then need to raise a minimum of £4,500 before the trip. 80% of your sponsorship must be collected at least 3 months before the trek. donations. Click the button below to see our campaign page and then click the START FUNDRAISING to set up your own page. Watch highlights from our previous Kilimanjaro Trek. What an EPIC journey it was! We’ll provide dedicated support from the moment you sign up. Once we receive your booking confirmation, you will have access to all the information you need, from fundraising ideas to training regimes! You will also be accompanied by Penny Appeal staff during your eleven-day trip so you’ll always have someone on-hand to help you. Accommodation, return flights (including airline taxes) and in-country travel, all meals during trekking days, water, camping equipment (excluding sleeping bag/mat), a fully qualified UK Leader, a UK Doctor, and local crew, porters and drivers, as well as medical support, will all be included. The Kilimanjaro trek is an international event, welcoming people from all faiths, backgrounds and abilities. Everyone is welcome – you can travel with friends and family, but many will also come alone. However you want to do it, you will experience an exciting once-in-a-lifetime trip and go home having secured new friends for life. 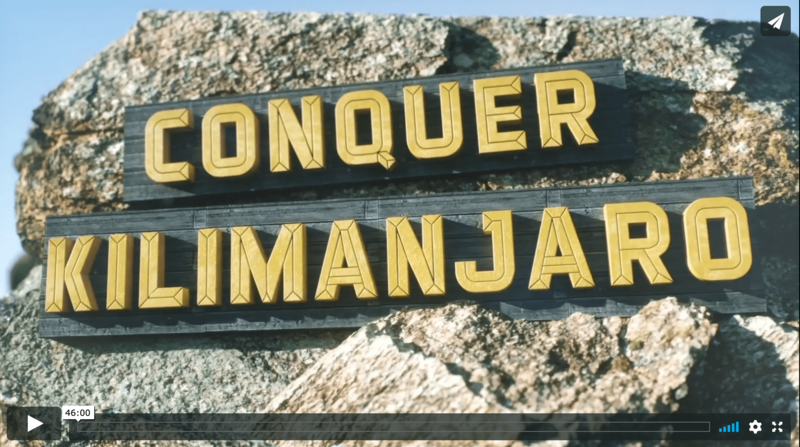 Get inspired by watching the Conquer Kilimanjaro documentary where we follow the journey of 4 individuals and their journey up Mount Kilimanjaro. Will they be able to cope with the effects of altitude sickness, exhaustion and treacherous weather to achieve their goal? When disaster strikes, the world’s poorest people struggle to survive. Our emergency responders are able to be on the ground within days – sometimes even hours – helping people survive and rebuild lives after natural disasters and emergency situations.